In coordination with the Annual Ipswich Biennial, Atlas House is pleased to present the site specific work Stone River (for Heraclitus) by John Deeper in the River Orwell. It is perhaps better to call this a revealing rather than a presentation because the work has already been in place for the past 32 years. When the call to artists went out, John Deeper got in touch with Atlas House and agreed to make public a work that he executed in 1986. As Deeper explained, he is a taphophile - a person that enjoys visiting graveyards. When visiting a town or city, he will stroll through the local cemetery taking pictures of the gravestones. This is a resource he now shares online with fellow hobbyists (alternatively called cemetery tourists or gravers). His favourite subjects are worn gravestones where the names of the deceased have begun to weather away. He considers these to be a type of readymade art object. On three different occasions, between 1984-86 he stole a worn gravestone. In the Fall of 1986 he dumped all three stones into the River Orwell from the east side of Stoke bridge where they still lay today. This Press Release marks the first time that this work has been made public. The work can be considered an action or event in line with the history of Dada and Fluxus performances. Yet the privacy of the act at the time, with the lack of an event score, documentation or a script for a happening, calls into question the accepted structures of performance art and the political implications of creating an audience. Making it public now must be seen as a contemporary supplement, perhaps even becoming inimical to the original work. The illegal/immoral acts of both stealing and dumping, which had heretofore been unnoticed and unmentioned, can only be considered such by the declaration of those actions in a public forum. Using this press release Deeper becomes like a hidden criminal, emerging to declare himself guilty even though there is no immediate evidence of a crime. In so doing, he creates an audience for an action that cannot be witnessed - once again emptying out the political dynamics between the artist and the public. What remains is the workings of the act itself. The Law, as an invisible binding agent of current ideologies and morals, can only be exposed by its breaking. Artists must also break social mores in order to be considered an individual, to establish themselves as a unique entity. 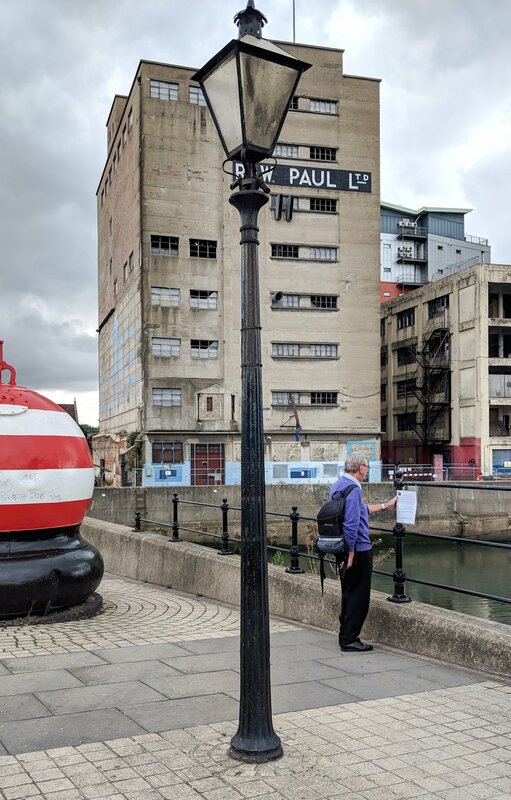 Deeper’s profane act and public declaration places the inverse relationship of Law and Individuality and Crime and Art beneath the timeless river. John Deeper is a pseudonym, an artist and a curator working in Colchester, UK.